I can understand why Lonely Planet has dubbed Hoi An as Vietnam’s most atmospheric and delightful little town. Wondering which resorts in Hoi An to choose from; from the multitude of Hoi An accommodation options available? Well, you see, this post is not just about falling head-over-heels in love with a historic little town that is filled with colours, charm and rustic history. This post is about falling even more in love with a pretty special resort that is situated here! Because here you will find one of the most luxurious and eclectic resorts of Vietnam, a true little gem. 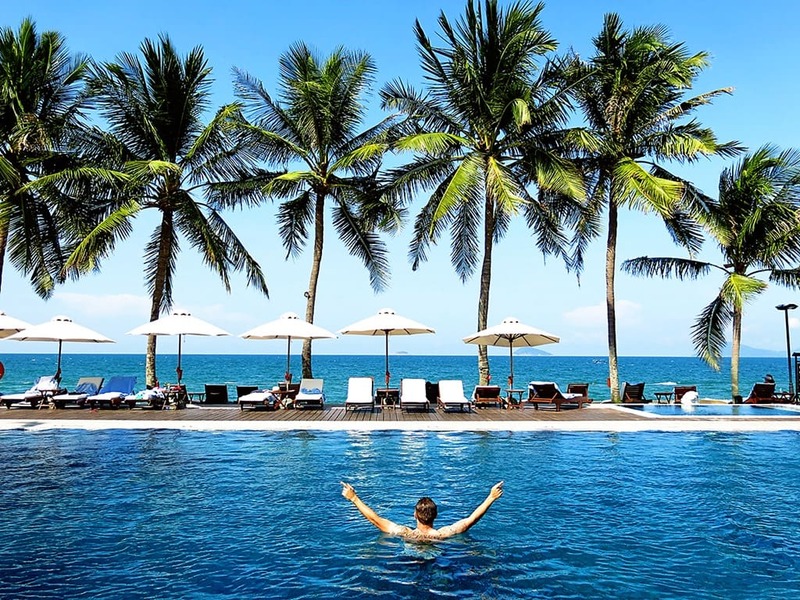 The Victoria Hoi An Beach Resort & Spa offers a unique opportunity to seclude yourself in luxury and tranquility as you soak in the history and atmosphere that is found only in this special part of Vietnam! A hotel that is perfect as either family accommodation in Hoi An or for a special getaway as a couple. Click here to see the latest prices to stay at Victoria hotel Hoi An. I’m a bit reluctant to share my story of our stay with the Victoria Hoi An Hotel, as I would dearly like to keep this magical place to myself, delight in the secret of what we found! 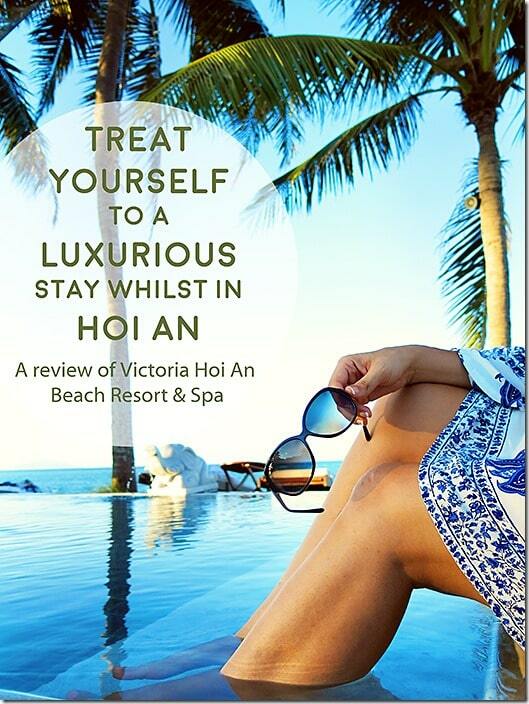 But I know my dear readers that you are all keen and eager to find out our recommendations of where to stay or where not to stay and all I can say is that if you are travelling to Vietnam, Victoria Beach Resort Hoi An is worth a splurge! 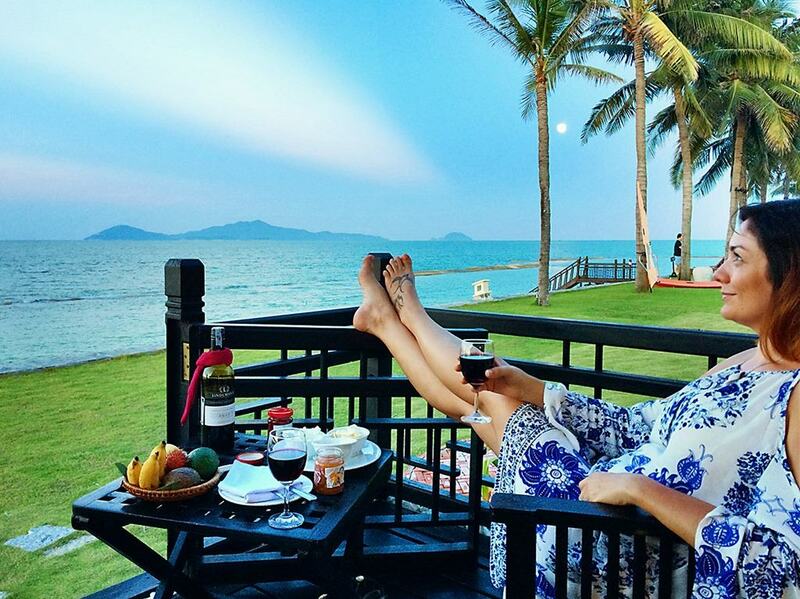 Victoria Resort Hoi An is worth your time! And it is worth checking out!! –The details and designs of this resort have been very carefully styled, where the architecture reflects the personality of the resort, and the designs reflect the history and culture of Hoi An, styled to symbolise a traditional local fishing village. The ‘’village houses’’ all have clay tiled roofs and in between them you will find small little pathways to wander around on. Along side it an abundance in colour with gardens and lush green grounds. Fish in the multitude of ponds will welcome you, whilst the presence of palm trees will remind you that you are now in paradise. I truly believe it is one of the best of the Vietnam beach resorts. Click here to see the latest prices to stay at Victoria Hoi An Beach Resort and Spa. Arrival at this resort is truly an experience! As soon as you arrive, the entrance to this resort shouts of class, style and luxury! At the front of the resort you will find an assortment of vintage transport vehicles, from adorable coaches to glamorous sidecars. The architecture a mix of Japanese, Portuguese, Chinese and of course Vietnamese influence. Upon arrival, you find a concierge who will grab your bags for you, leaving you to wonder up the steps to the immaculate lobby. Here you will only find beautiful friendly smiling faces, hospitality here were simply top notch!! Within minutes you will have a nice cool face towel to wipe away the Hoi An heat and a beautiful cool welcome drink to start your relaxing stay. The lobby is beautiful and spacious! Go for a wander upstairs to find a fun games room, a massive TV for sports events together with its own bar. Or why not wander the other way to find a peaceful oasis for those who love to lounge around and get lost in a book! 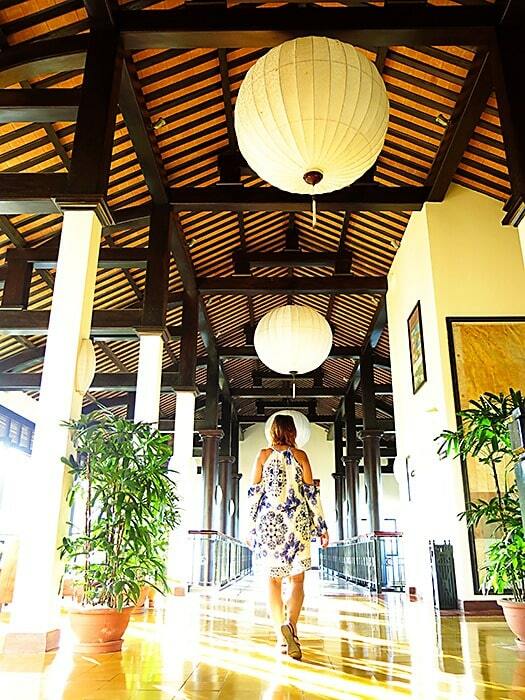 Victoria Hoi An Beach Resort and Spa features a whopping 109 rooms! There are rooms for all sorts of different budgets. From river view rooms, to garden view ones, from deluxe, to ocean front! All have their own little balcony! This photo below was taken on the way to the river and garden front rooms!! I love lanterns!! Our favourite room was the Junior Suite! We fell in love!! It was the most luxurious room I have ever stayed in and the attention to detail was simply impeccable. The room ‘wowed’ us from the moment we opened the doors! You can see a visual of our room in the video at the end of this post. I think it is clear on my face how excited I am and how much I loved the space that we were going to live in for the next few days! If you are searching for a Hoi An luxury hotel option, search no further! Upon entry you will find your ‘home’ space as well as the gorgeous comfy and cozy bed! A sofa to relax on, a TV, a desk and then some extras! We had our very own coffee making machine! And next to our beds we each had a little clip on reading light – did I mention the attention to detail at this resort in Hoi An?? In the next room, you can find the influence of Japan, in your very own little tea room. Gorgeous adorable tea pot and cups begging to be used!! 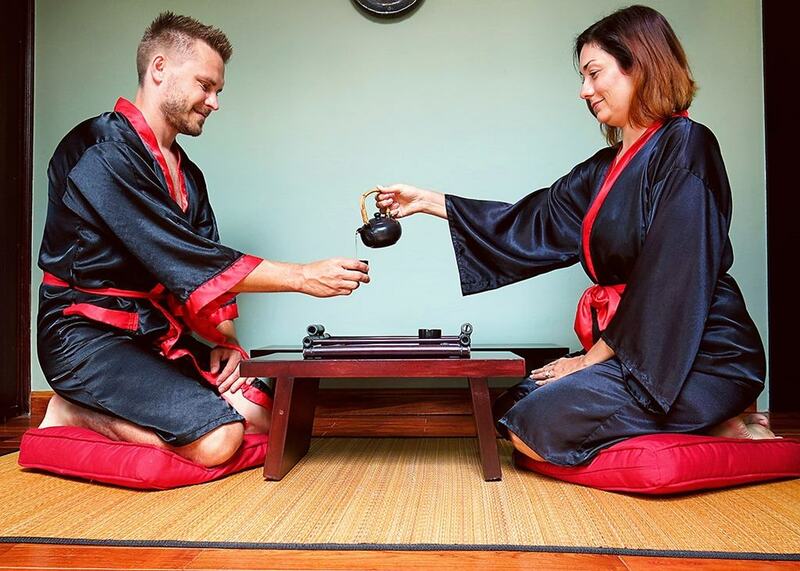 We couldn’t resist, so we popped on the Japanese robes found in the cupboard and felt like royalty whilst enjoying a cup of delicious tea! 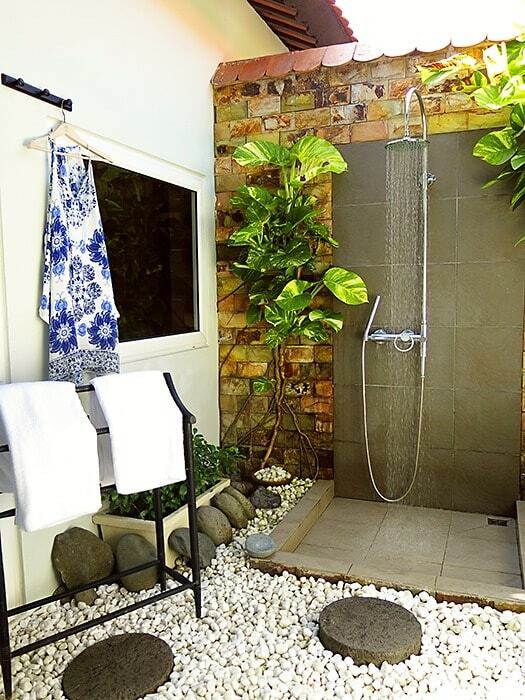 Next came my favourite part of our room, the indoor-outdoor ultra deluxe shower! Putting my hand up as an outdoor shower addict after being treated to the joys of this baby!!! You really feel reinvigorated and fresh after showering in the natural light, fresh breeze and gorgeous greenery found in this space here! All I can say is, the shower at our home in Australia, just simply does not cut it anymore!!! Hands up – who of you wants to have a shower in this space here??? Of course the luxury doesn't end there, and for those of you who love to soak away in a bath, you can find a glorious spacious sunken spa bath, complete with candles and all the accessories you could ever wish for!! Think bath salts, bath scrub pads, delicious smelling soaps, shampoos and conditioners and yes there is even more!!!! In your cupboard you will find a safe, a fridge, some robes, some slippers, an umbrella, a beach bag, some Vietnamese style hats ….. everything you could possibly need! We enjoyed sitting on our beach front patio, listening to the waves crash, sipping away on our welcome wine and tasting some of the local snacks! Perfection in paradise, complete and utter bliss!!! At night time, the staff will bring around a rose and two delicious chocolates, together with a scroll, where inside you can find a night time story! On our last night, we also returned to our room to find two lanterns, as gifts to say thank you and farewell! The lanterns now reside by our bed, a beautiful reminder of our time in Hoi An! Click here to see the latest prices to stay at Victoria Hoi An Resort. We spent many hours lounging around this pool. I kept staring, and taking photos …. and more photos, hoping to capture the beauty of this pool and its surroundings. A memory I want to capture for a life time! This pool!!! You simply have to be there, you need to feel what it feels like! Lounging on these comfy sun loungers, staring at the pool, backed by gorgeous palm trees, and if that isn’t enough, the scene blends into the blue of the ocean with the light blue haze of the distant islands beyond! Now image having waiters, wondering about, serving your every need, bringing you cocktails, snacks or whatever else your heart desires! Hoi An luxury accommodation at its best!! Can you understand why once we planted ourselves here, we couldn’t move? Every time of day at this pool has a magic of its own! The bright colours jumping out at the middle of the day …. the sun peeking through and filling the seen with soft light in the late afternoon and at sunset? At sunset you can find the most glamorous display of colours behind these palm trees, reminding you that you are now in paradise!! The pool is perfection, as simple as that! The only thing that we could possibly mention otherwise is that due to the incredibly hot weather we had whilst in Hoi An, the water in the pool got pretty warm. But once again, the staff at the resort comes to the rescue, always taking pride in making your stay a delight. So at 1pm, watch as trolleys with ice blocks gets pulled out! I think I felt a bit like a polar bear, playing in the blue of the water with a big cold chunk of ice! It was perfect!! 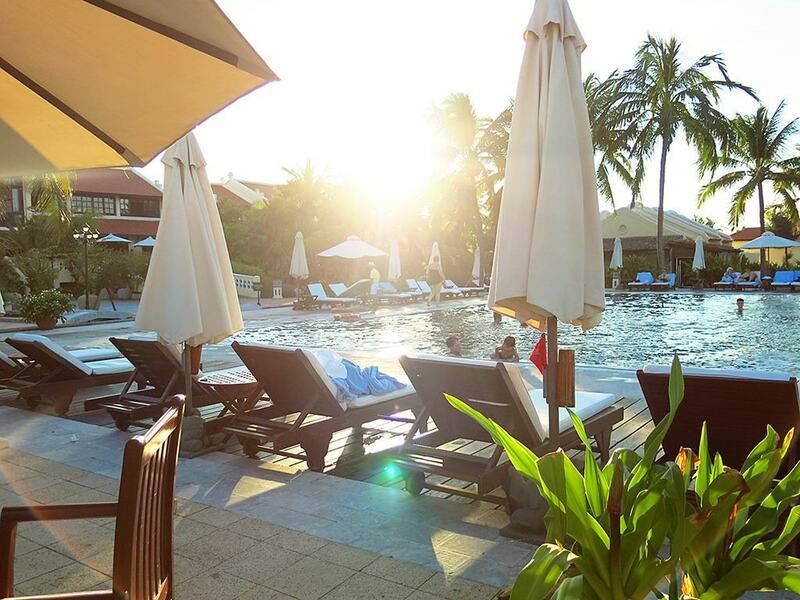 Click here to see the latest prices to stay at this Hoi An Beach Resort. Of course, a resort as gorgeous as this, will have a little private piece of beach paradise set aside for its residents. 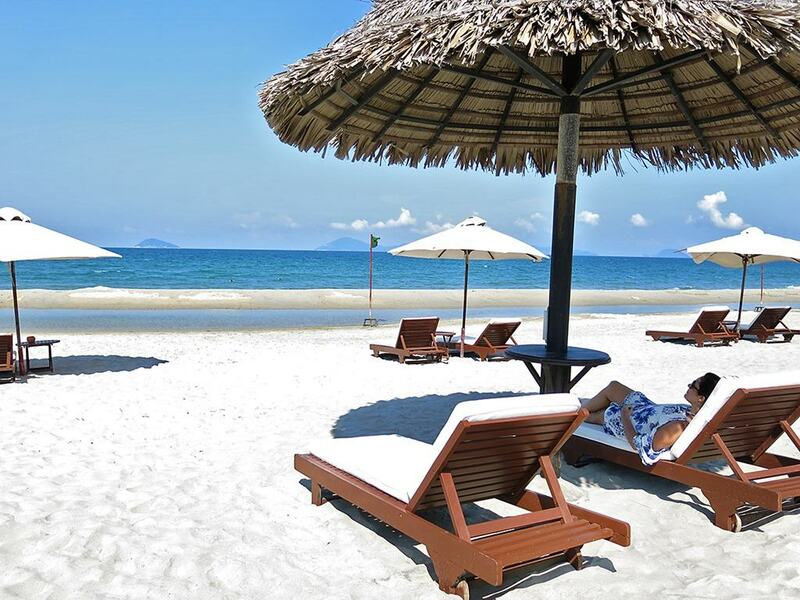 And so here, next to this Hoi An beach hotel, you will find a luxurious picture of daybeds and sun loungers, spread out over the white sand of Cua Dai Beach. As most people were enjoying the pool area, I really felt like this was my own private little escape on my private little beach, no one to bother me, only the sun, the waves and some peace! If you enjoy being a bit more active than me, you can also find here a variety of activities to keep you busy on the water. Together with our two favourite leisure facilities you will also find two tennis courts for those of you who like to sweat away. If you are a lover of being pampered, make sure to pay their Beauty Spa a visit. Here you can find a variety of treatments that will help you to relax your body and mind. Jacuzzi and steam bath here. Make sure to let them know if you are on your honeymoon as you will receive a special discount voucher as part of your VIP package. 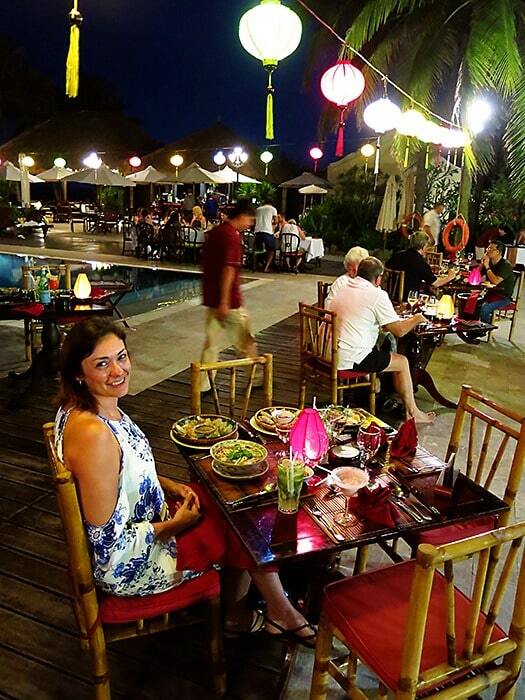 Victoria Hoi An Beach Resort & Spa has one main restaurant together with three bars! The bar that we used most often was Faifo Bar, which is the pool bar! The atmosphere around this bar was always buzzing with happy chatter! And we might have enjoyed one too many cocktails form this bar next to the pool by our sun loungers! Together with this bar, there is also a bar on the second level of the lobby for those who love to play a game of pool or billiards, and I’m sure this one is a big hit when the sports games are on the large sports TV. All the bars and restaurants are beautifully designed!! This photo is taken in the outdoor area of the restaurant! Isn’t it pretty!!! The restaurant at the resort is called L’Annam Restaurant. Included in your package is free buffet breakfast. And was it one awesome buffet breakfast!! The choices were endless! 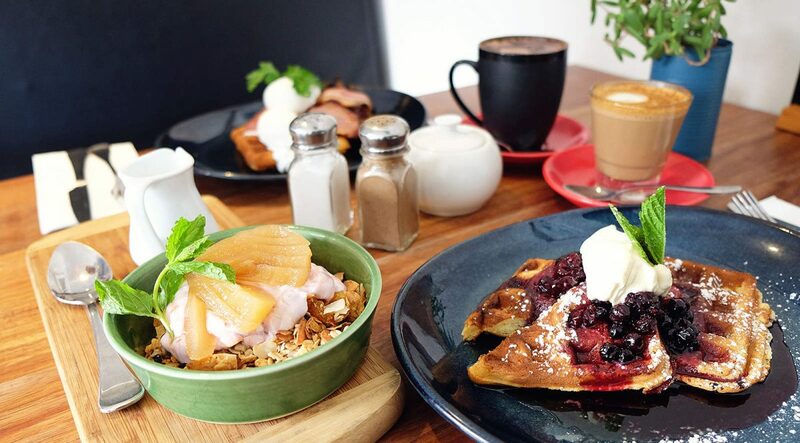 And needless to say that both me and Andrzej over indulged at both of our breakfasts in order to sample the multitude of breakfast delights on offer!! We also loved dinner at night time around the pool area. The whole area is illuminated by the twinkling of soft lights, colours streaming on to the still blue pool from the lanterns hanging about! The atmosphere was totally romantic and enjoyable! From here you can also enjoy some of the night time shows on offer. We loved watching the girls put on a dancing performance (you can see a short snippet of them in our video below). 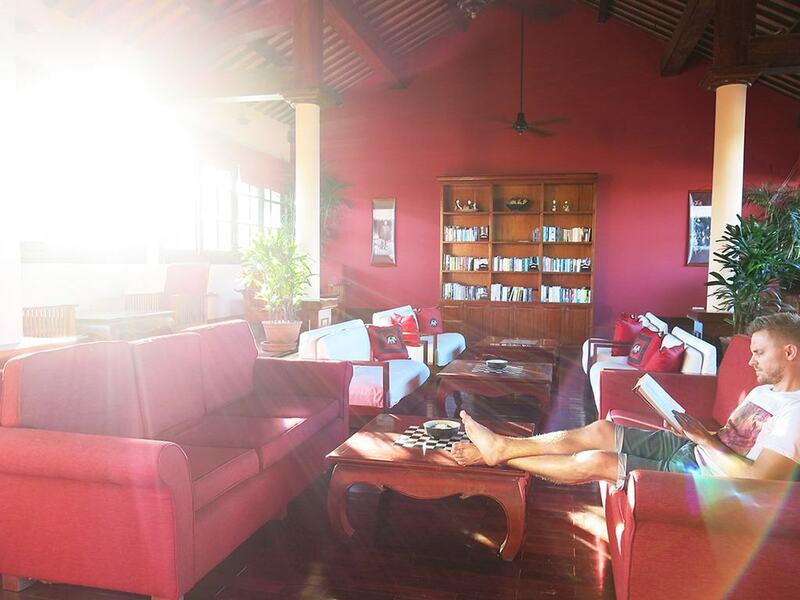 Click here to see the latest prices to stay at Navutu Dreams Resort and Spa. Victoria Hotels pride themselves on focusing on not only making your stay inside of the resort walls memorable, but also to focus on what is outside of the resort walls. We go to Vietnam, to experience Vietnam after all. 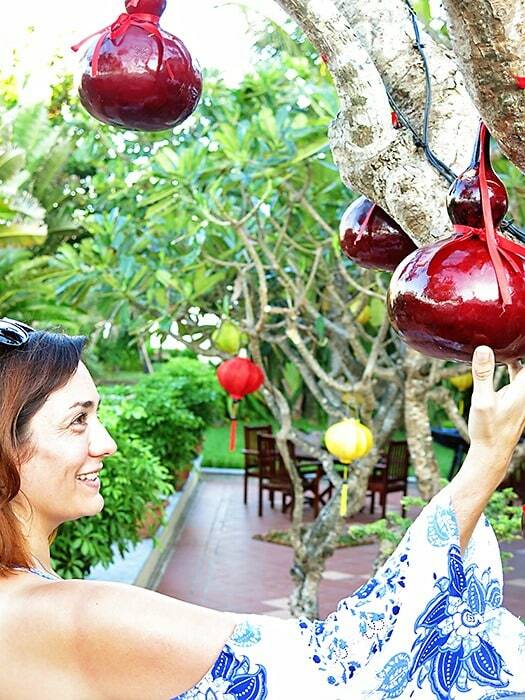 Staying in a luxurious resort is glamorous and all, but we still want to experience what Hoi An has to offer as well. 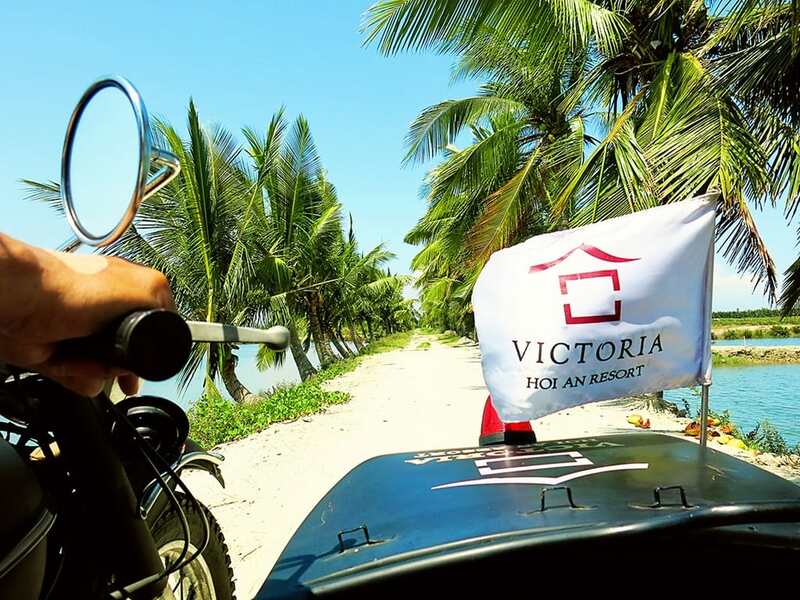 Victoria Hoi An Beach Resort & Spa recognises the curiosity in their visitors and offer more than just a small variety of excursions and activities to keep your wanderlust at bay! I know a lot of people will be encouraged to stay closer to Hoi An Ancient Town, but in all honesty we stayed closer for one night, the heat was insane, there was no breeze and we just needed to escape! We ran away to the ocean side where we found the relief of a sweet cool breeze! When you can stay at a resort that has a breeze, the ocean, the pool, all in the aid to cool you down plus a FREE shuttle bus that is only 12 min away from Ancient Town, I don’t understand why anyone would stay anywhere else!! The free Victoria Hoi An shuttle buses run on a very regular schedule to Hoi An, allowing you to be there in the morning or afternoon or even to go and catch the lit lanterns at night. They are convenient and relaxing and the drivers are always smiling and happy to have a chat! One of the things we were really looking forward to was going on a side-car excursion with these funky Victoria Hoi An motorbikes!! You can choose how long you want to use them for, we chose an hour option in order to go and explore the countryside of Hoi An. Our trip took us on some incredible palm tree ‘walled’ dirt roads. We went driving through some fishing villages, went past the vegetable villages and went all the way through Hoi An town to the pottery village on the other side. The ride was exhilarating, interesting and purely based on an insane amount of fun! The sound of the roar of the bikes with the glide around the corners! The kids running out to ‘high five’ you as you pass by their homes in their villages! All memories that still make me smile form ear to ear. Of course Victoria Hoi An does nothing half notch, so expect some awesome cold face washers and some icy cold water at your ‘breaks’. What an incredible experience – and one you simply HAVE TO DO if you stay here!!! They have more options for excursions with these bikes, so ask them what your choices are when you stay there! They also have a brochure you can check out here! Together with many many more excursions to places such as the Marble Mountains, My Son Holy lands and more! Victoria Hoi An Resort is the ultimate Hoi An accommodation option for luxury and relaxation. Because of the pool – ah yes THE POOL!! Never have I seen a more beautiful situated pool than this one!! One of the reasons which define why this is one of the best hotels in Hoi An!! The staff are all incredibly friendly and go out of their way to make your stay memorable! 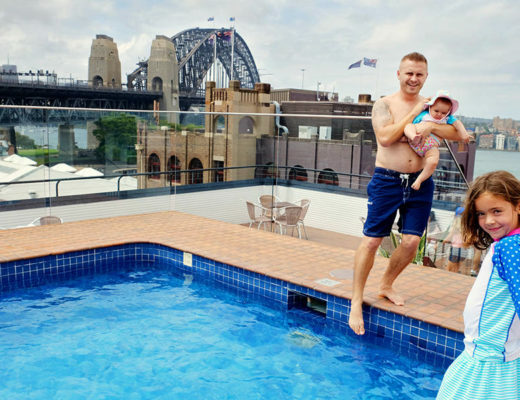 If you have kids, you can book them in to the kids club and enjoy some cocktails by the pool in peace! Because their focus on perfection through detail is just impeccable! Because this is the very first resort I have ever stayed in that I can simply not think of a single negative thing to say, our stay was truly perfect!!! In our opinion this is the best among the choices of Hoi An resorts. 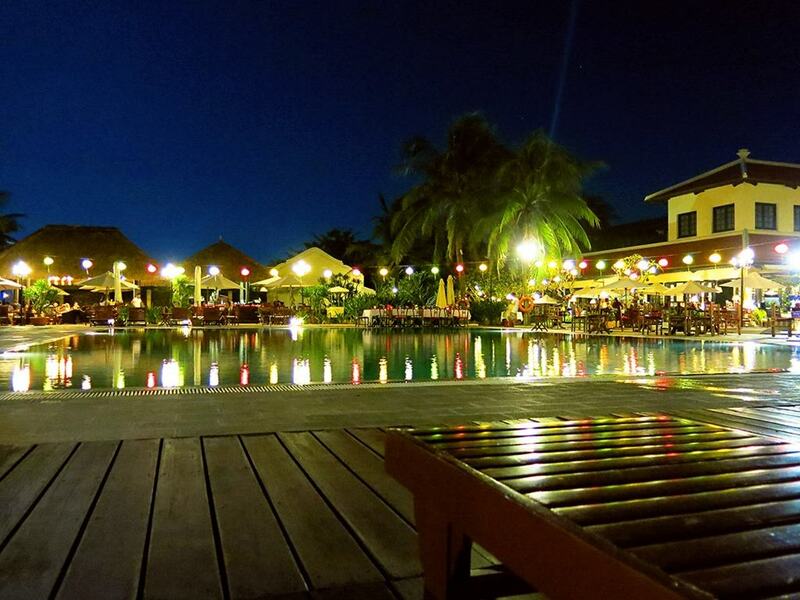 Location: Victoria Hoi An Beach Resort & Spa is situated in Hoi An, central Vietnam. This resort is ideally flanked on both sides by water, overlooking Cua Dai beach to the front and the other side, the picturesque Thu Bon River. The Resort is about 12 minutes away from Hoi An Ancient City. They offer a free shuttle bus that runs to the old town. You will need to catch an internal flight to Danang Airport. The flights are typically pretty frequent and also very affordable. You can use Skyscanne﻿r﻿﻿ to book your flight on Vietjet (tickets are only around US $65). Detailed information on your options of how to get from Danang to Hoi An. Read a helpful review of the Vietnamese Airlines here. We love having our hotel transfers organised ahead of time! It simply means that our trip will run so much smoother!! For a transfer service that is always reliable and that offers exceptional service, we highly recommend Blacklane! Your transfer from Danang airport to most of the Hoi An hotels will only cost you around US $30. If you love to hop on an organised tour, we have a great selections of either Hoi An day tours or tours from Hoi An for you to choose from! 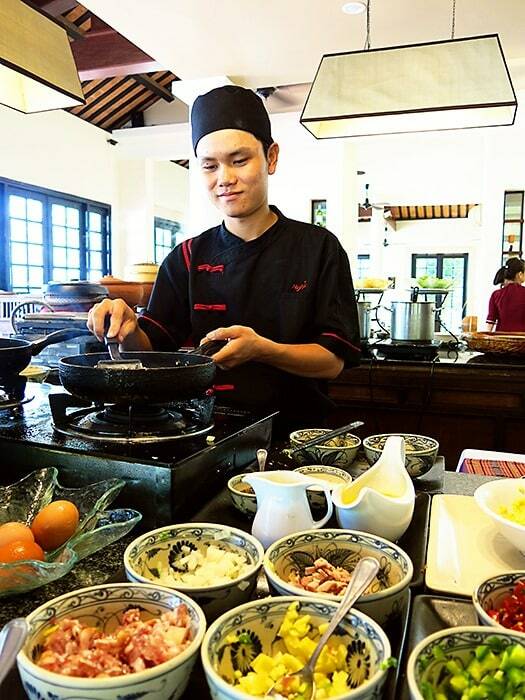 Learn how to cook signature Vietnamese dishes, bargain at a local market, pick organic vegetables, ride a boat and more. Prices are US $54 p/p. Enjoy a relaxing bicycle ride through Vietnamese countryside on an unforgettable rural adventure in Hoi An. Visit little villages where you will get to try out locals' typical daily activities. Go on a boat ride to Cam Thanh coconut village. Tour prices start from US $31. 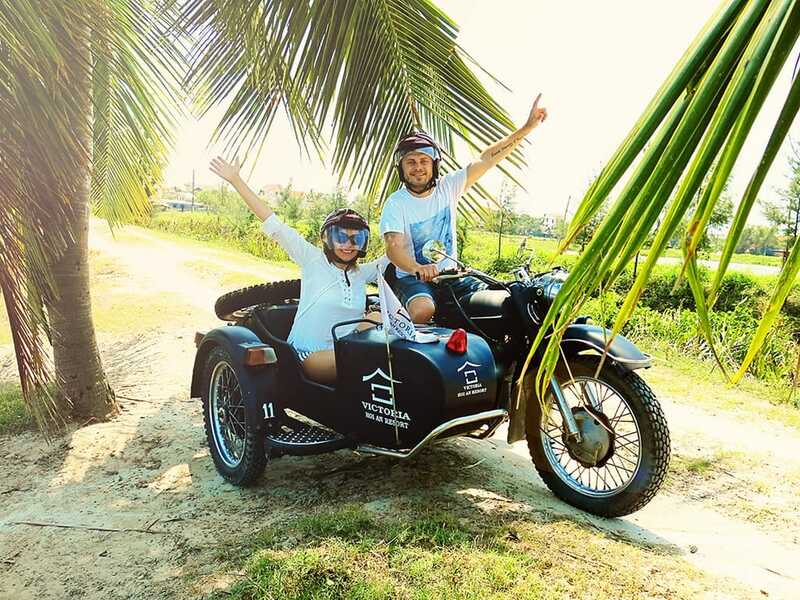 Feel the char of Hoi An on Asia's 1st Electric Scooter tour.​ During this bike tour in Vietnam, you will learn about local life, local businesses, religious beliefs and family life in Vietnam. Price for this tour is US $49 p/p. This private tour trip includes photo stops along the way at China Beach, Lang Co Beach, Hai Van Pass and Cau Hai Lagoon. Visit the Cham Museum and Linh Ung Pagoda with views of the Marble Mountains, and enjoy optional swimming at Elephant Springs (own expense). Prices are US $79 p/p. Prepare yourself for your trip to Vietnam by reading up on all the things you should know! Use our list of popular Vietnam Accommodation choices (including other Hoi An Hotels) to help you plan your trip! Special thanks to Victoria Hoi An Beach Resort & Spa for upgrading us to a Junior Suite in exchange for brand endorsement. As always, the content & opinions expressed here are entirely our own. Salamanca Wharf Hotel Review | The Ultra Comfortable Hobart Accommodation Option! We’re a couple that doesn’t particularly like kids running around at the hotels we stay at (that sounds terrible but we usually go for adult-only places), and I’ve read a couple of reviews that said that there were many families staying here. What was your experience with this? Thanks! Hey Jessica, that is fair enough! Even as a family I’m not keen on resorts where kids are squealing all the time. On our stay there, there really wasn’t many families around, but it might be a different experience if you are travelling during school holidays? Our little room we had was next to the pool but it was so peaceful! I’m sure you would love it there! 🙂 I would return if I could! Glad to read this article. Your review of Victoria is very detailed and thanks to this, I wanna give up my job and go ahead to Victoria for relaxation. 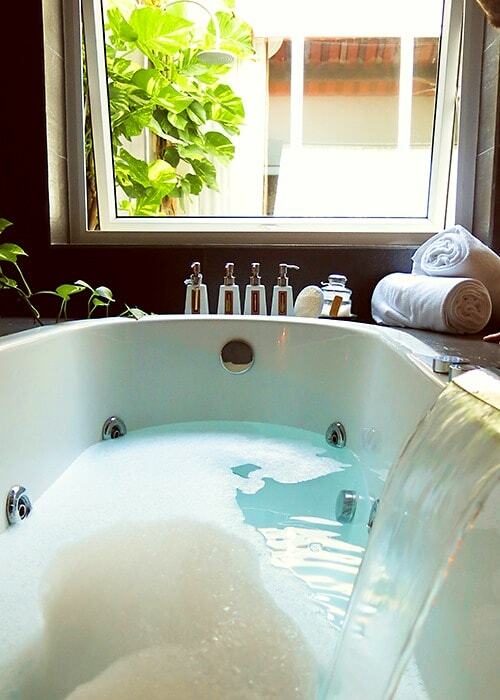 And the relaxation you will have!! 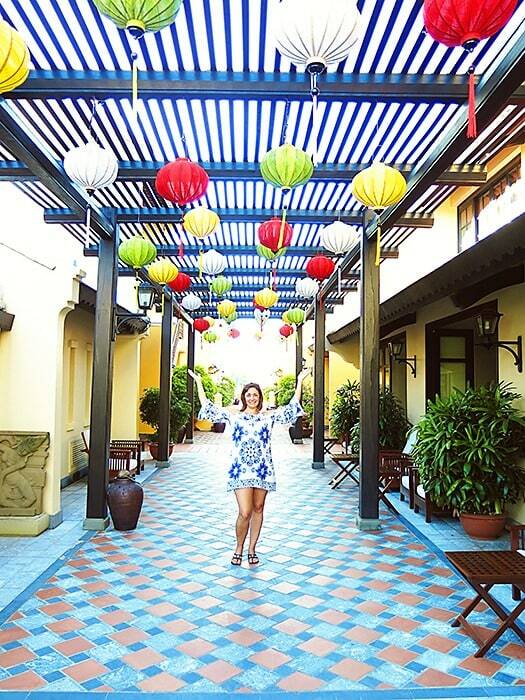 We absolutely loved staying at the Victoria Hoi An!! LOVE VIETNAM and we will definitely be back for more!!!!! Glad you like the post!